We scored an excellent 100% on our recent assessment – a rare event according to BSI assessors - even better, there were zero ‘non-conformity’ issues so our 100% score was gained in one assessment, with no reassessment required. 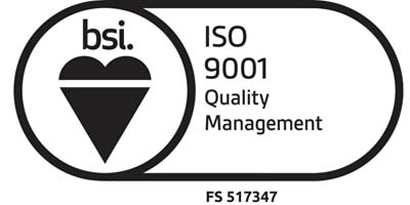 Our new ISO 9001:2015 certificate replaces the previous ISO 9001:2008 certification and further shows our dedication to providing our customers with a high quality service and product. As a business, Pulsar sell noise measurement equipment globally to help other business' protect their workforce from Noise Induced Hearing Loss and prevent costly insurance claims. We aim to continuously manage and grow our Distribution Network and ensure direct end users are given the correct guidance, training and support to enable them to comply with the Noise at work Regulations. This is reflected in the integrity of our management system with regard to the sale and procurement of noise measuring and monitoring instrumentation including related training and provision of product service, repair and calibration. “Our quality management system has recently been enhanced by the addition of new personnel in the company, who have bought fresh external perspectives and provided renewed impetus” said, Simon Rehill, General Manager of Pulsar Instruments Plc. “The results of this assessment clearly reflect our ongoing commitment to quality management, communication, training and customer service”.